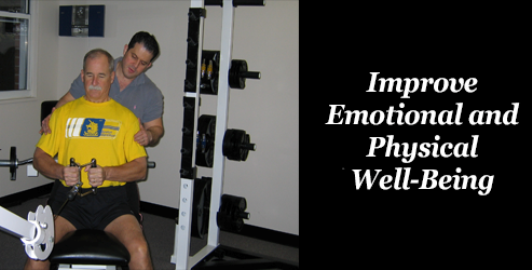 Jeff Rutstein offers unparalleled personal fitness training for those who value the best. Owner of Custom Personal Fitness, he has created a powerful approach that combines the mind and body and appeals to individuals looking for a personal workout experience. Rutstein provides in-home and in-office personal training, in the comfort of your own space, You can benefit from Rutstein’s expert guidance as he leads you through your targeted workout routine. His attention to detail and individual focus on each and every movement ensures that you will receive uninterrupted support during the entirety of your one-on-one fitness session. By keeping your personal fitness level and goals in mind, Rutstein will create a workout schedule tailored to your unique needs. Whether you want to lose weight, increase strength, or simply improve your overall health, Jeff Rutstein can provide the training you require. One of the many ways in which Rutstein’s services eclipse traditional personal training routines is his feel good approach to exercise, ‘mindful movements’. By addressing the needs of both the mind and the body, Rutstein created a new approach to fitness—one that helps you achieve your fitness goals while improving your emotional well being. Jeff Rutstein works with a clientele that values high quality service, privacy, and results. With his mind-body approach and dedication to creating individualized workout plans, he has guided his clients to better health.